I’ve made a new piece of beautiful jewelry! 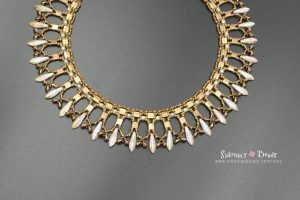 It is the gorgeous, Egiptian looking necklace in the picture. I can’t wait to get a little bit of tan and wear it! Next Next post: Website revamp!